Caelin Peters and Anthony Straface combined for 42 points to help power Plymouth Whitemarsh to a win over Upper Moreland. 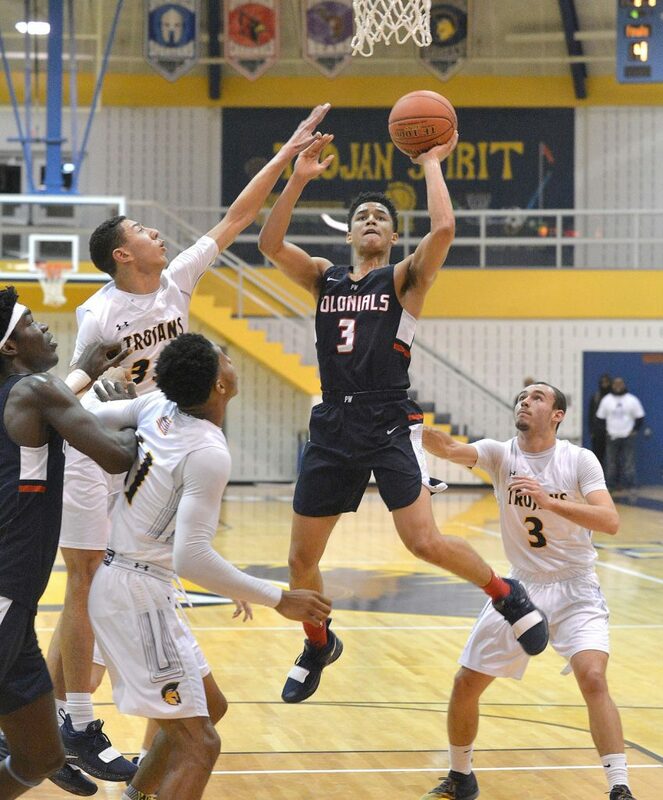 Plymouth Whitemarsh jumped out to a big 19 – 7 lead after one quarter and were able to sustain their advantage the rest of the way en route to the victory. Straface led all scorers with 22 points and Peters chipped in with 20. Jason Cherry contributed eight points for Plymouth Whitemarsh. Peters went 9 for 11 from the Floor with Two Three Point Shots and several drives to the basket. Upper Moreland, who put up a solid 31 points after halftime, were led by Byron Hopkins and Jahire Johnson, who both had 13 points. Jourdan Gregg was next for Upper Moreland with 10 points.